Mario is four. He loves going to school and looks forward to seeing his friends. He is especially fond of his teacher Talia. Mario also has spina bifida and faces some serious challenges. 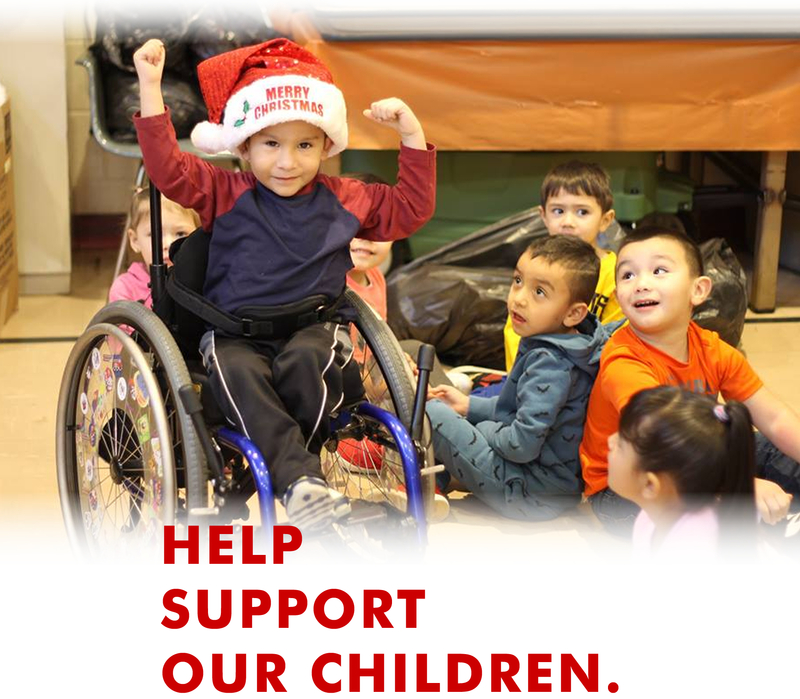 With no strength in his legs, he is only mobile by way of his wheelchair or crawling, but he never lets that get in the way of having fun and learning at school! Mario’s sister attended Matrix Head Start and after his mother researched the best program for his needs, she decided Matrix was right for him. Each day, Mario takes part in the same activities as his classmates and he’s encouraged to get out of his wheelchair to move around. Mario’s teachers encourage his use of upper body strength to overcome his physical limitations. Just like the other kids, he’s expected to take care of his own trash after lunch, join in on the playground (where he loves going down the slide) and participate in gym class with the other students. “We can see Mario is getting stronger because he’s encouraged to do so much on his own, and we do our best not to limit him in any way. He has an incredible spirit and never gets frustrated with his level of ability. We work together with Mario and his Mother to give him access to the same opportunities as other kids.” – Mario’s Matrix Head Start teacher Talia. “Since he started at Matrix Head Start, Mario’s vocabulary has grown, and he’s more independent. Being with the other kids at school has really helped build his confidence,” said Rocio. “And working with Matrix’s Disability Manager, Marisol has been excellent. She really eases our minds in taking the right steps for Mario, and works for what’s best for our family. We are thankful the Matrix Head Start program has given Mario the opportunities he needed to succeed in school,” she added. While we still have work to do, your unwavering support of our mission and the most vulnerable in our local community has been crucial. Thank you!